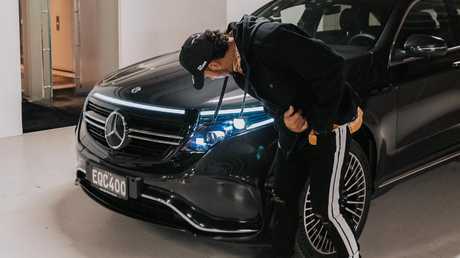 Lewis Hamilton with the Mercedes-Benz EQC. LEWIS Hamilton gets what he wants. So when the reigning five-time Formula 1 champion asked to swap his V8-powered four-wheel drive for a prototype electric car, Mercedes-Benz scrambled to accommodate him. The luxury brand arranged for a pre-production example of its first Tesla-fighting electric car, the EQC, to be on display at the Australian Grand Prix. 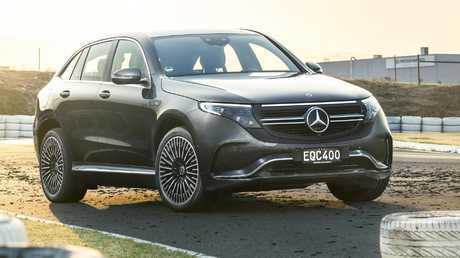 Hamilton had a 10-minute drive of the battery-powered machine en route to a customer function on Thursday night, becoming one of the first people outside Benz' test team to have a steer. Hamilton inspects the new Mercedes-Benz EQC. The Grand Prix legend then told Mercedes-Benz' Australian team he wanted to swap his usual V8-powered ride for an electric machine which is not on sale anywhere in the world. Hamilton drove the high-voltage machine to the Albert Park grand prix circuit on Saturday, where he told race fans the car helped him relax in preparation for qualifying. 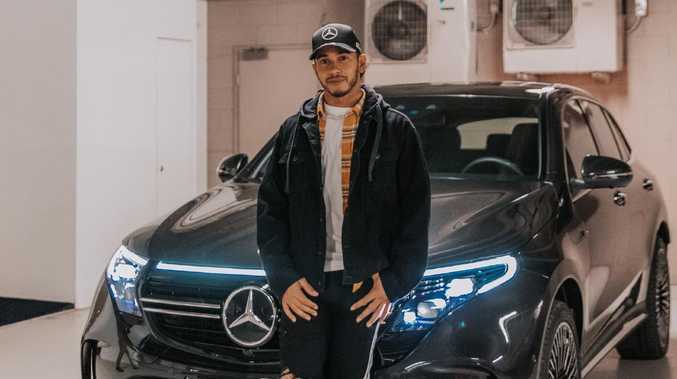 Lewis Hamilton told fans about the EQC on Instagram. "I love driving so much," Hamilton said. "I don't like driving on the road, normally, except for this morning. 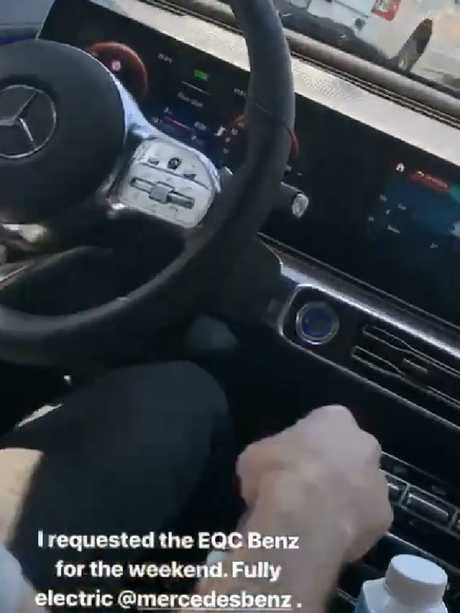 "It's easy for me to promote this car, you know, because I actually really like it. "If Mercedes didn't make a good product it would be very hard for me." The electric car has 300kW of power and a range of 450 kilometres. It goes on sale locally in October. The EQC is expected to cost $100,000 to $150,000. Mercedes-Benz is bending the rules by letting Hamilton drive a left-hand-drive vehicle normally reserved for test engineers. But the move is likely to be better received than the last time Hamilton had a run-in with road authorities, when he performed a burnout in a V8-powered Mercedes-AMG C63 in 2010. Police impounded the car and Hamilton apologised for "driving in an over-exuberant manner". Hamilton is not ready to give up cars completely, telling race fans that he has ordered an example of the $4 million Mercedes-AMG One hypercar. The F1-powered coupe could be the fastest car in the world. "I think it's going to be the baddest car on the road," Hamilton said. "I'm excited to see it - it's going to sound incredible. "There's no other car on the road that has a Formula 1 engine in the back, so I'm excited. "It's probably just going to be an art piece in the garage." But Australian race fans shouldn't expect to see Hamilton behind the wheel of the Mercedes-AMG One in 2020. "I'll be driving the EQC." Hamilton with the EQC on Thursday.